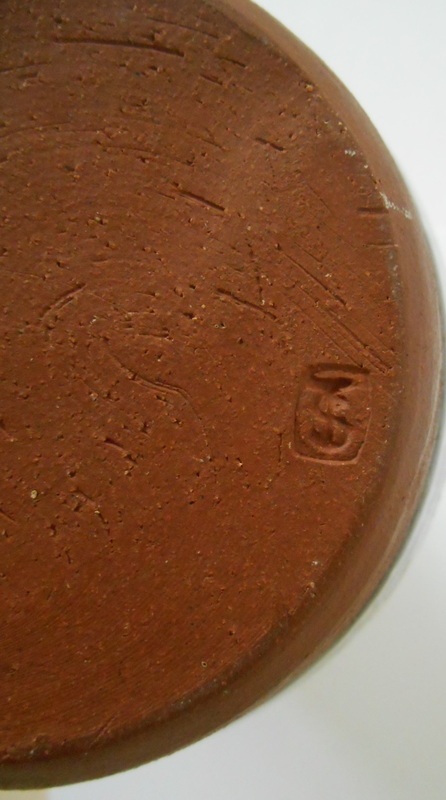 Earthenware Vase J S or T S initials - John Shelly? I.D. help appreciated. 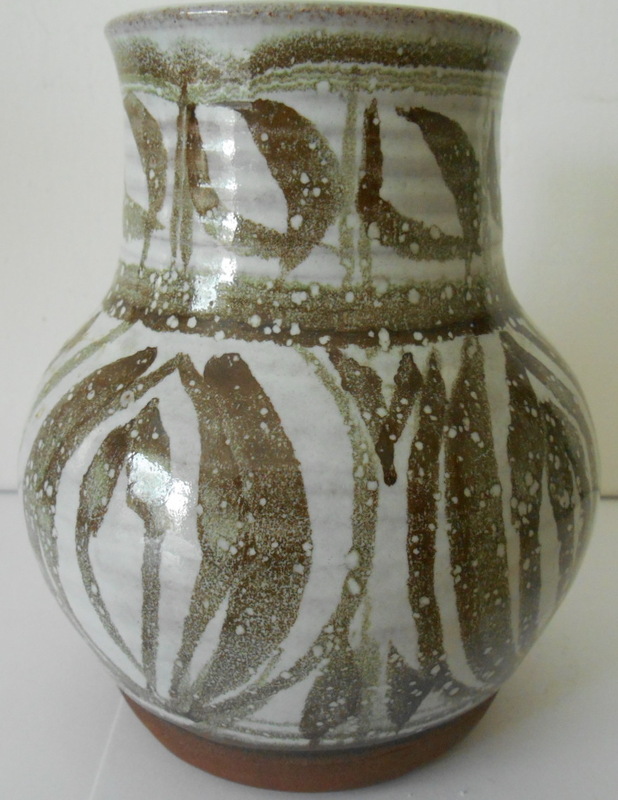 Re: Earthenware Vase J S or T S initials - John Shelly? I.D. help appreciated. 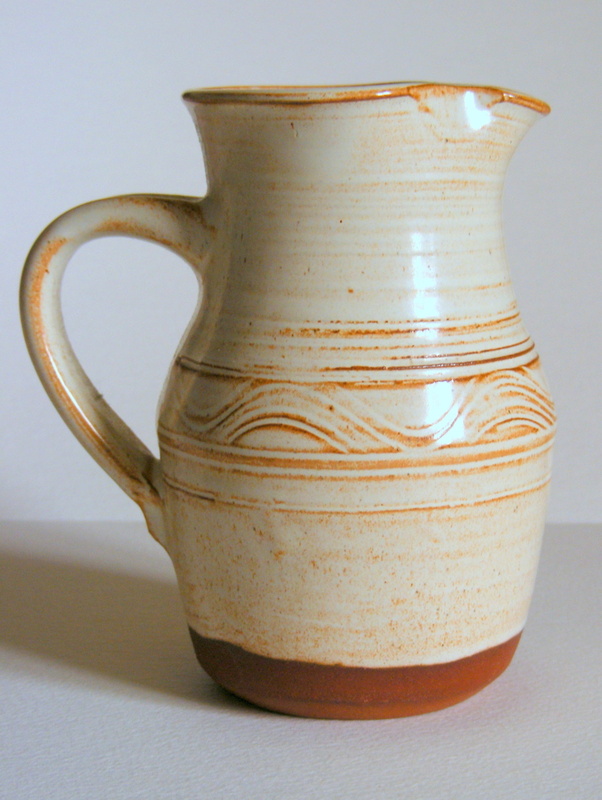 I've got a jug with a very similar mark impressed in a circle just under the handle. 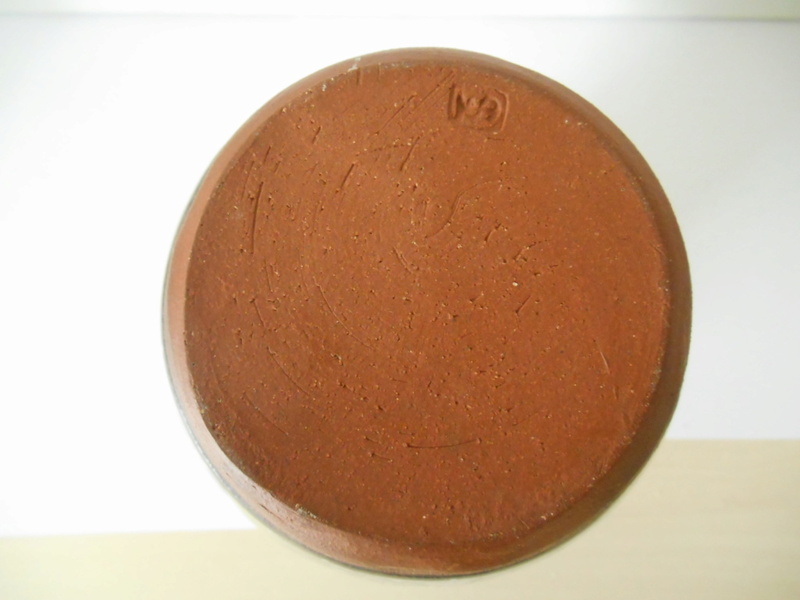 It's in red earthenware, neatly thrown with a rather Winchcombe-ish wave pattern. Sorry I can't find it now to give a photo of the base, but it's flat (no footrim) and wiped clean rather than having wire marks.